Despite that comforting feeling underfoot, carpets can have a range of environmental and health impacts just like any other product. We’ve put together this handy guide to make life easier when you’re shopping for a sustainable carpet. As with all types of flooring materials, when you’re considering the impacts of carpet on people and planet, it’s important that you look at what materials the carpet is made from and the methods of manufacture used to create it. When you’re looking at the sustainability of a carpet, you need to look at the product’s entire lifecycle. That means from the sourcing of raw materials, to manufacture, installation, use and maintenance and finally its ultimate disposal. This applies to all components of the “carpet system” including the fibre, the backing or padding material, and the glues and adhesives used for binding. 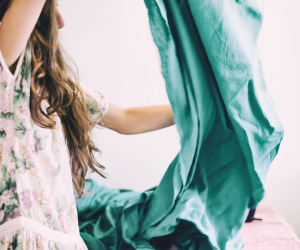 A common question in most people’s minds is – should I be looking for synthetic or natural fibres? Surprisingly, the answer isn’t always as clear-cut as you might think. 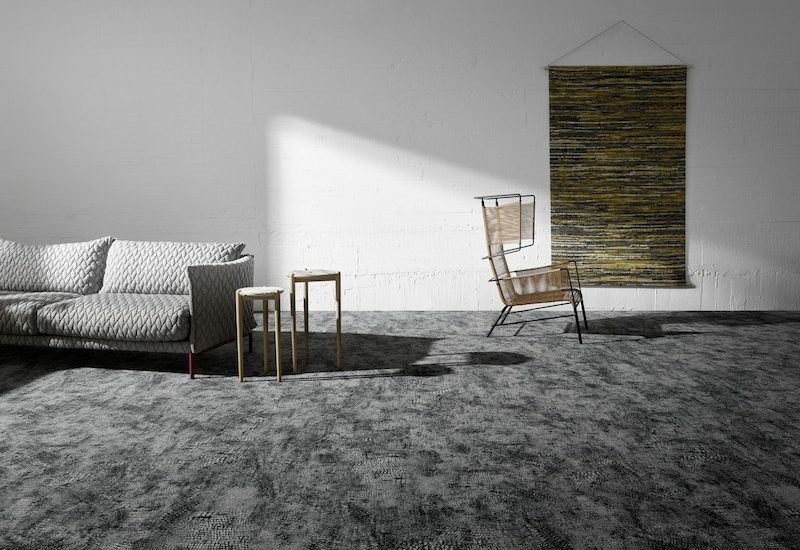 For example, both natural and synthetic carpet fibres require water and energy intensive processes and both may release harmful pollutants into the environment. There may also be significant quantities of toxic substances used during manufacture, and carpet products can contribute substantially to landfill. Natural fibres are usually better than synthetic when it comes to a range of criteria. They may have natural stain resistant properties, eliminating the need for nasty stain-repellent chemical treatments, and may only emit low amounts of volatile organic compounds (VOCs). Natural fibres are also biodegradable – just look for untreated wool, organic cotton, jute, sisal or coir when sourcing carpet products. However, natural fibres are not always necessarily better than synthetic fibres from other environmental perspectives. Wool fibres, often used in carpets, may be treated with solvents and detergents during processing to remove greasy material. The treatment of effluent from wool scouring operations also needs to be considered to make sure pollution isn’t discharged into surrounding waterways. In addition, they may be treated with fungicides and insecticides that are often synthetic chemicals harmful to human health. Synthetic fibres also come with their own concerns. Firstly, they are made from non-renewable petrochemical raw materials. During manufacture, synthetic fibre production can result in the release of sulphur or nitrogen oxides into the atmosphere, contributing to air pollution. The foam used for a carpet backing may also have been manufactured using ozone-depleting chemicals or may present a risk to human health through the inclusion of potentially carcinogenic compounds such as 1,3-butadiene. The best materials for carpeting from an environmental perspective are recycled materials – for example, foam recovered from a used mattress, which can form underlay. These minimise the amount of waste generated and cut down on resources used. Buying carpet made from recycled materials also indirectly helps encourage more manufacturers to go down this path by creating more demand for such products on the market. As well as being made from recycled materials to start with, if a carpet has reached the end of its life, it should ideally be recyclable itself. The backing should be easily separable from the rest of the carpet, and the manufacturer or retailer should have take-back or recycling schemes in place for their products. If your fresh new carpet comes with a strong new smell, that could indicate the presence of VOCs, which affect indoor air quality and can be hazardous for human respiratory health. The off-gassing of such compounds can continue for years. These VOCs can be present in synthetic fibres, the underlay, and even the adhesives used to keep components together. Again, it’s best to look for natural, untreated fibres and reduced amounts of adhesives. There are also chemical treatments and dyes to consider. Stain-repellent and fire-retardant treatments typically contain a class of compounds called polybrominated diphenyl ethers, or PBDEs, which have been found in measurable levels in human blood and breast milk. They’ve been linked to thyroid and hormone disruption, and other chemicals classed as ‘flame retardants’ have been linked to cancer. Make sure that any dyes used have not been categorised as causing cancer or birth defects by theInternational Agency for Research on Cancer, and avoid any stain-resistant treatment options. Of course, it’s just as important to make sure that any carpet you choose is fit for its intended purpose. It needs to be able to comfortably withstand the expected amounts of foot traffic in the installation area – carpeting that needs replacing every couple of years is not a great solution, environmentally speaking. It also needs to be easy to clean and have a good manufacturer’s warranty in place. With so many different criteria to consider, it can seem like an overwhelming task to source an environmentally-preferable and healthier carpet. When a product is certified against GECA’s Carpet (GECA 50-2011 v2) standard, consumers can be sure that the product has been assessed to meet environmental, human health and ethical impact criteria. GECA certification removes doubt and confusion and makes identifying environmentally and socially preferable products easier. We currently have four licensees certified under the Carpets standard: Egetaepper a/s; Modulyss; Rugs, Carpet & Design (RC+D); and Shaw Contract Group. Products certified under GECA’s Carpets standard also contribute towards achieving credit points for projects being certified under the Green Building Council of Australia’s Green Star materials calculator tools. For everything from the thickest plush living room carpet to easy-care, low-pile commercial carpet tiles, it’s possible to find a product that has lower impacts on the environment and human health. Good Environmental Choice Australia runs Australia's only not-for-profit, multi-sector ecolabelling program and is the only Australian member with GENICES recognition from the Global Ecolabelling Network (GEN). GECA's scheme and certified products are recognised by The Green Building Council of Australia and can contribute to achieving Green Star credits. In choosing GECA certified products you know that you are purchasing products that meet the highest environmental & ethical standards.